Our efforts are non-partisan: Our goal is to educate, not promote the election or defeat of candidates for any elected office. Our program is voluntary for everyone including our current therapy animal volunteers: Our program is an “opt-in” format, which means that you will only receive special advocacy communications if you join the program. Our program is for everyone: While not everyone interested the positive impact animals have on human health and well-being is a therapy animal team, anyone can be passionate about the human-animal bond! When you register as an advocate, you lend your voice to important issues that you care about. 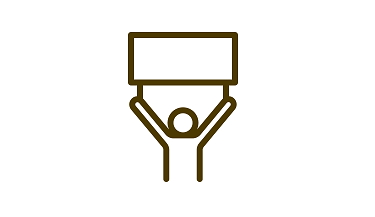 Our advocates are prepared for success: With free resources you can use to organize locally, and education on important topics like how to effectively communicate with elected officials, our message is amplified and we can make the greatest impact. To our international friends, supporters and volunteers: Currently this program is focusing on U.S. public policy. 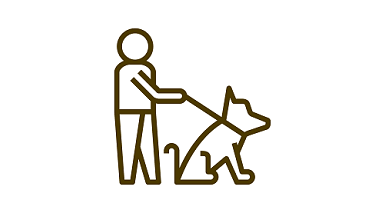 While we are unable to accommodate your sign up as an advocate at this time, we do encourage you to share the message about the importance of therapy animal standards in your country. Join us for Advocacy Bootcamp! The wonderful thing about a democracy is that every citizen has the power to communicate with their elected leaders. But it’s not always easy to know where to start or what to say. Join Pet Partners for a webinar on May 16 at 8:00 PM (EST) and learn the basics on how to share your knowledge and passion for the human-animal bond with your elected officials. We’ll cover the basics of communicating with legislators, informing yourself on their priorities, attending or hosting legislator events, and where to find helpful resources on PetPartners.org. And as always, we’ll be answering your questions. Advocacy Manual Keep key advocacy information at your fingertips with this manual! Includes tips for effective legislator communication and reminders of what you can and can’t do. Talking Points A clear, concise message is critical during face-to-face meetings. This brief set of talking points will keep you on track when educating lawmakers about what a therapy animal is, and what it isn’t. Leave Behind This handy reference sheet recaps important therapy animal concepts as well as includes a space for your contact information. Missed our last session and don’t want to wait for the next one? You can see a recording of our Advocacy Bootcamp webinar here. Opt-in to receive Action Alerts from Pet Partners and help make a difference. Positions are approved by our Human Animal Bond Advisory Board and Board of Directors. 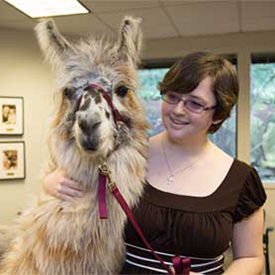 Pet Partners’ standards and best practices for therapy animals and volunteers.